Online College and Career Coaching your way! 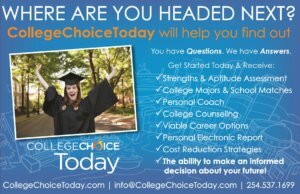 CollegeChoiceToday provides online college and career coaching. Through our online tools and personal assistance you have the necessary guidance and tools to make an informed decision on YOUR time. great post ! thanks for sharing this.